As we know there is no straight forward way to transfer video, music, images or data files from desktop pc to android phone. We need to use some apps or web ip address to do so. 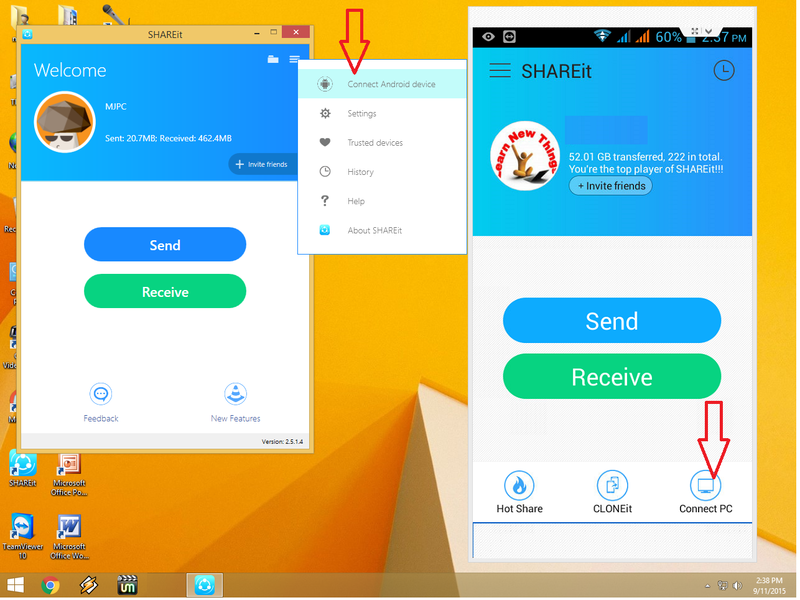 But today I am talking about very handy and fast app called “Shareit” it’s available for both android phone and windows computer and laptops for free. 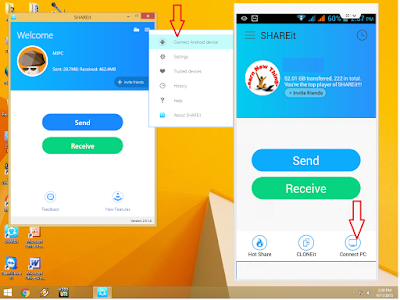 This app can transfer any type of your data and files from computer to android phone and phone to computer very fast… First download and install “Shareit” in your phone from google play store and in the desktop open google search and download “shareit” for windows pc. 3. 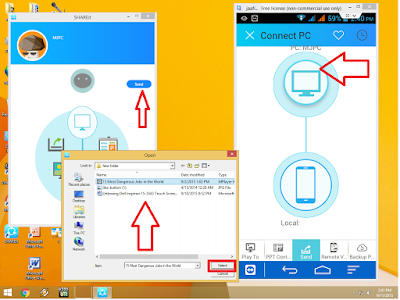 Available PC will show in your phone tap on to connect, in desktop click on “send” select your file and click on “select” that’s it, you will receive files in your phone.